I decided to restart this blog again after more than a year’s hiatus. Previously my travels were left undocumented because it was always “oh I’m too busy with (insert excuse here)” i.e thesis, university, work, socialising. How unfortunate, especially because I have the memory of a goldfish so I tend to forget the details of my travels. Now that I am on student exchange in Spain, I have all the time in the world. Yes, even after the siestas, sangrias and cafe con leches. Being the keen bean that I am, I made my way to Barcelona El Clot train station and decided to hop on a train to Girona, a city 100kms northeast of Barcelona. It took roughly 1 hour 15 minutes with the Renfe Express costing approximately 20€ for a return trip. Fairly expensive for such a short journey (when you’re working on a student budget, every cent counts!). It was a breath of fresh air to see the change in scenery, from the metropolitan that is Barcelona, to suburban Sant Celoni, and eventually to the Spanish countryside of Girona. 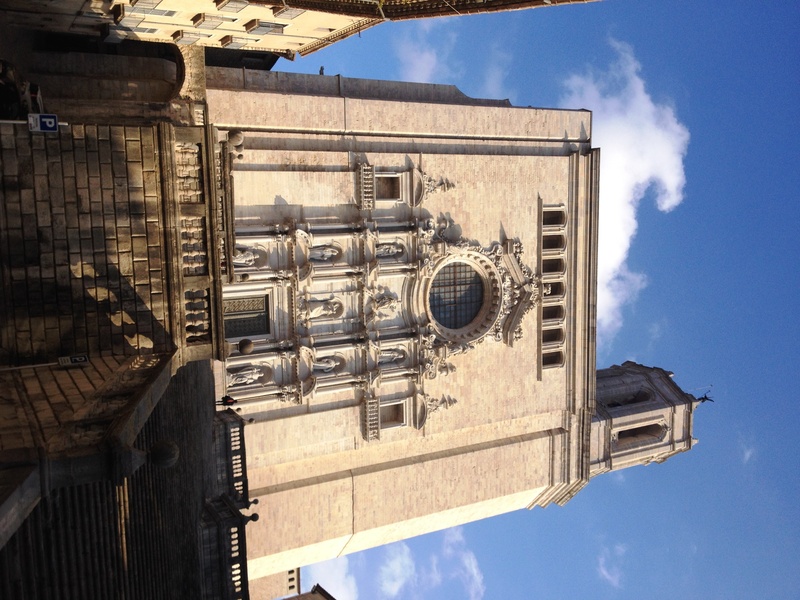 Upon arriving, Girona gives the impression of just another modern Spanish town indistinguishable from Barcelona. 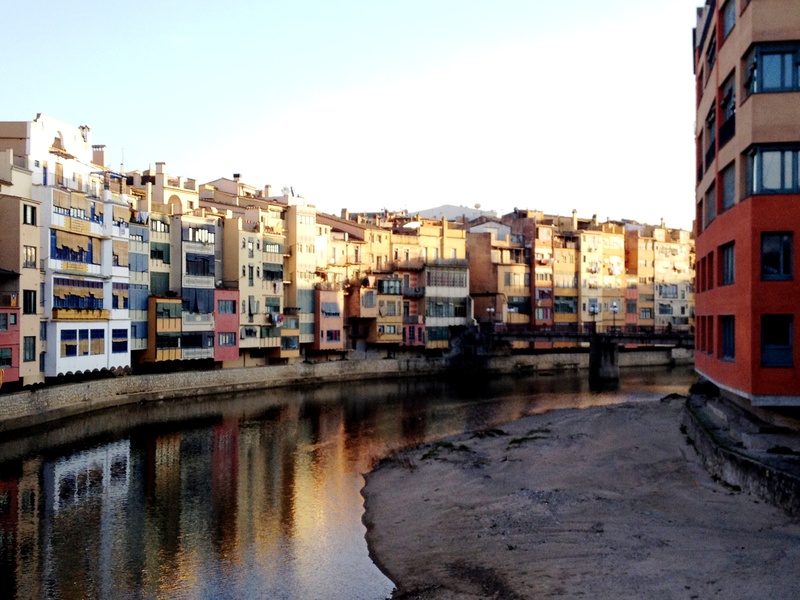 It wasn’t until I was crossing the Onyar river that it begin to dawn upon me that I am slowly traveling back in time. Streets began to narrow and roads were replaced by cobblestones. 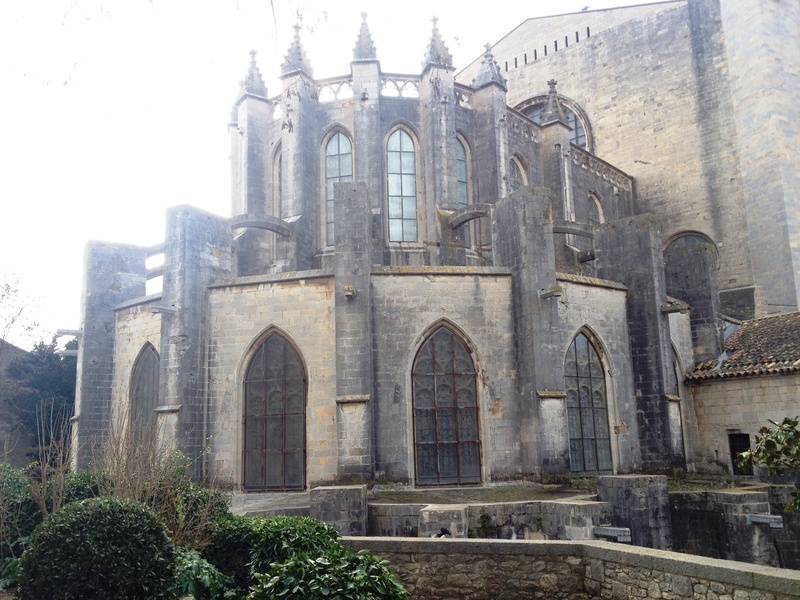 Before I knew it, I was amidst ruins of a Roman cathedral, monastery and fort. A brief splash of history to give Girona some context; Girona was captured a total of seven times, from the French to the Romans. It flourished as a Jewish community in the 12th century and housed the first Kabbalah school in Europe. 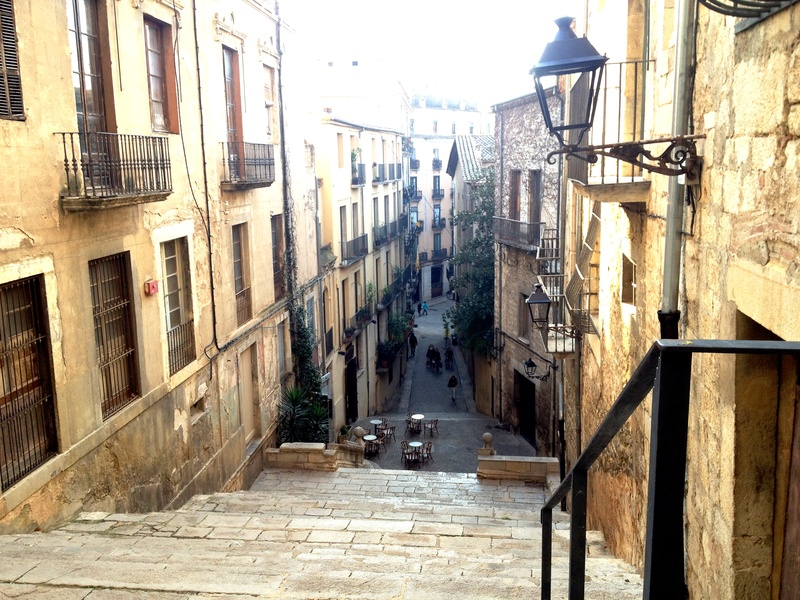 However, in the late 1400s the Jews were expelled from Girona by the Catholic monarchs. 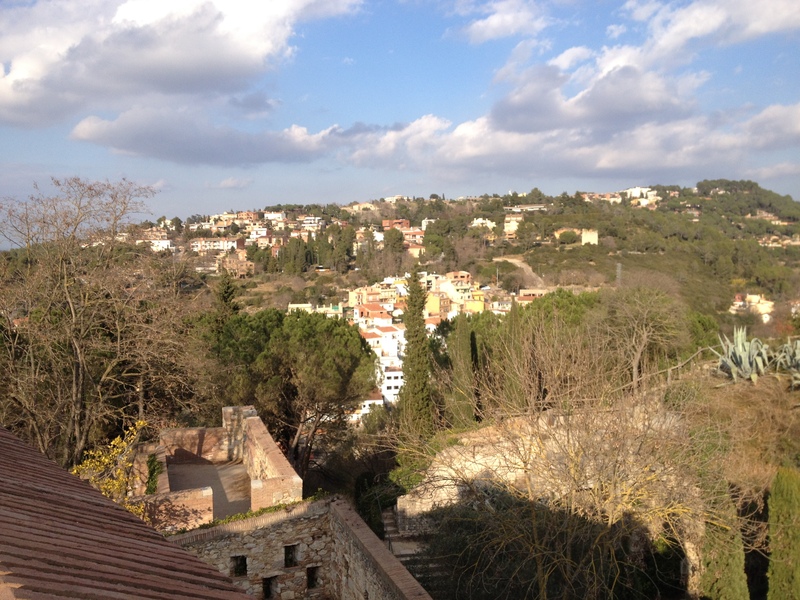 Traces of strong Jewish presence is still apparent in Girona and it remains as one of the most preserved Jewish sites in Europe. 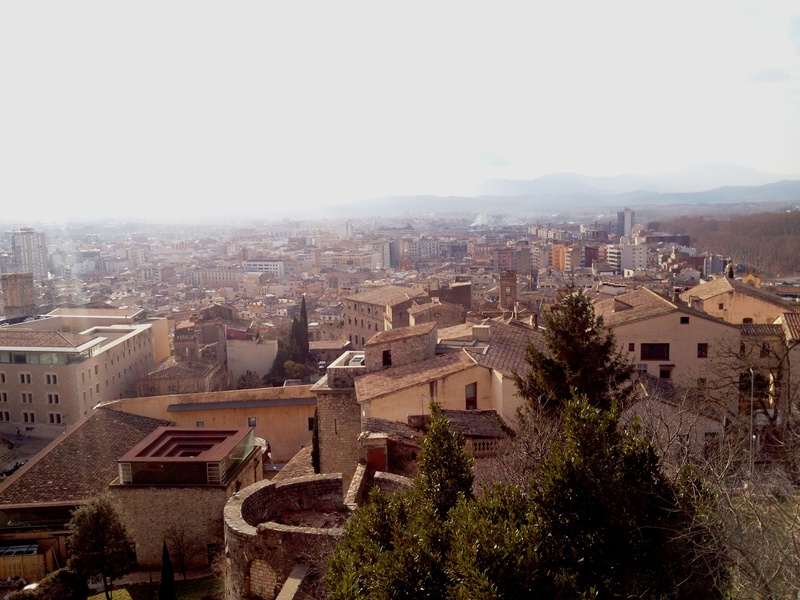 If you are one of the few that journeyed to the top of the ruins, an aerial view of Girona city awaits. Highly recommendable to those with kindred spirits (and good stamina). 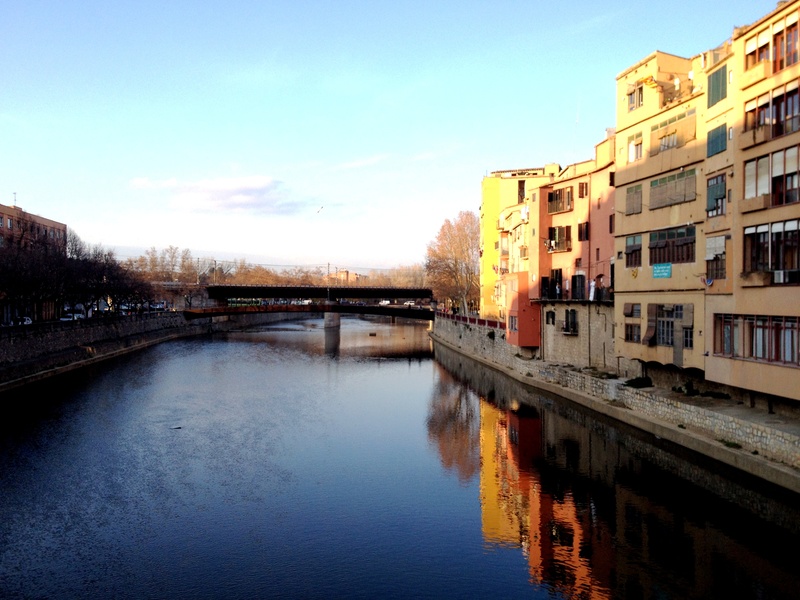 The stark contrast of how the years have shaped Girona is visible here. On one side of the view boasts a modern city sprouting with development and on the other, country homes are nestled between the mountains. How I love juxtapositions of civilizations!